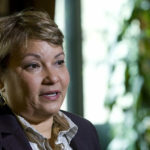 (by Steven F. Hayward, The Wall Street Journal) – Lisa Jackson, who announced on Dec. 27 that she was stepping down as head of the Environmental Protection Agency [EPA], will be leaving under a cloud. It turns out that she had been using an email account, under the alias “Richard Windsor,” to conduct official business, in an apparent attempt to evade federal transparency laws, including the Freedom of Information Act. After the account came to light in the fall, the Justice Department agreed to release thousands of emails later this month. This disturbing episode is only one of many under Ms. Jackson’s administration. Will her successor be any better? In a way, the question is beside the point. The agency’s regulatory machine – and its advancement of the Obama administration’s green agenda – would proceed on automatic pilot even if the president didn’t bother to appoint a successor. Here is a suggestion: Reform the EPA by politicizing it. What! Do I mean to say that the agency isn’t political enough already? Actually, in one important sense it isn’t – and that is part of the problem. Both the EPA and the Nuclear Regulatory Commission do much the same thing – that is, protect the public against environmental risks. But there is a big difference between the two. The EPA is headed by a single administrator and given wide latitude under various environmental statutes to make sweeping regulatory determinations on his or her sole authority. The NRC, by contrast, is run by a five-member commission drawn from both parties, just as are several other independent regulatory bodies such as the National Labor Relations Board, the Federal Trade Commission, the Securities and Exchange Commission and the Consumer Products Safety Commission. There is a reason Congress has adopted the commission model. While a bipartisan [involving both parties, Democrats and Republicans] consensus exists for regulating some parts of the economy by independent agencies that harness specialized expertise, there remains an underlying partisan disagreement about the means and ends of policy. The commission model recognizes and accommodates these disagreements, with a process that emphasizes public debate and is more transparent and accountable. The EPA’s single-administrator model, on the other hand, is based on what amounts to a conceit that some policy matters are beyond politics or meaningful controversy. This is the apotheosis of the Progressive Era ideal, or rather myth, of enlightened administration by neutral experts. It is also a tactic to deny that what are deeply political administrative decisions are in fact political. The single-administrator model makes it much easier for an ideologue like Ms. Jackson to use the regulatory process as a steamroller to achieve policy goals. A bipartisan commission would change this dynamic. The president would, as is customary, still appoint a majority of the commissioners, including the chairman. But the minority would have their dissent on policy matters on the record. In regulatory bodies such as the Consumer Product Safety Commission, minority commissioners and their staffers act as brakes on permanent bureaucrats and agency staff, and the minority commissioners are able exert influence over final policy decisions. At the EPA, however, bureaucrats can embrace self-serving justifications, stifle dissent and represent their manipulated scientific findings and economic assessments as beyond controversy or uncertainty – which U.S. administrative law then makes difficult to challenge successfully in court. Changing the EPA into a commission won’t solve all of its problems. But it would make it much harder for the EPA to ignore or suppress contrary scientific evidence on issues such as global warming, air pollution and toxic risks. It would also make it harder to impose regulations – as happens today – with fanciful cost-benefit ratios that go unchallenged. In the case of global-warming regulation, for example, an EPA that operated on the commission model would find it problematic to censor its own dissenting employees the way it did in 2009 with Alan Carlin, a 30-year career official who challenged the agency’s “endangerment” finding on greenhouse gases, which was the first step on the EPA’s way to issuing emissions regulations. Mr. Carlin was told to cease his work on the issue and not to communicate his views publicly. An inspector general’s report subsequently vindicated his critique of the agency’s finding, but it was too late to hold up the regulatory juggernaut. Mr. Carlin has since retired. If you think reforming the EPA into a five-member commission is a modest reform of little consequence, here’s a suggestion. Have House Republicans introduce a bill to do this, and watch how ferociously the environmental establishment fights it. Mr. Hayward is a visiting professor at Pepperdine University’s School of Public Policy and the author of the “Almanac of Environmental Trends” (Pacific Research Institute, 2011). Published January 8, 2013 at The Wall Street Journal. Reprinted here January 17, 2013 for educational purposes only. Visit the website at wsj.com. NOTE TO STUDENTS: This is an important topic, and an interesting proposal. While the language of Mr. Hayward’s commentary might be a bit challenging, look to understand the main idea. Read the article once, then read the questions before reading it a second time. Reading this commentary will help prepare you for college-level work, as well as and increase your ability to think clearly about important issues of the day. 1. What is the EPA? b) What does the EPA do? c) How is the head of the EPA chosen? d) Why is EPA head Lisa Jackson stepping down from her position? The yearly budget for the EPA is approximately $9 billion.